The Central Bank of Iran’s (CBI) announcement that the country has stopped using US dollars for trade is not likely to have a large impact on the industry as long as nuclear sanctions are still in place, experts say. Early this week, CBI deputy head Gholamali Kamyab told Iran’s Tasnim News Agency that the country will not employ the US dollar in trade anymore, adding that other currencies, including the renminbi, euro, rouble, Turkish lira and South Korean won, had replaced it in transactions. A few days later, spokesman for the Iranian Parliament’s Planning and Budget Commission Gholam Reza Kateb told the same government news agency that Iran planned to negotiate currency swap agreements with eight countries including South Korea, China, the UAE, Iraq, Japan, and India in order to “vaccinate [the country’s] economy against sanctions”. 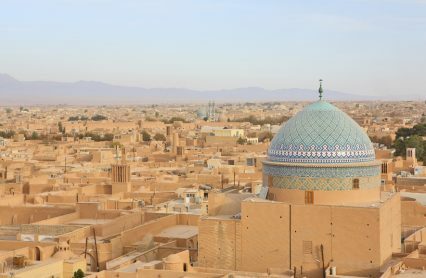 Years of trade embargoes related to its nuclear programme, combined with the continued fall in oil prices, have placed Iran in a difficult economic situation, and the government is now under domestic pressure to improve trade relationships. Ongoing negotiations with the US and EU on a nuclear agreement have allowed the country to enjoy sanctions relief for the past year and could lead to them being lifted altogether – though the likelihood of that happening is still unclear. But in the meantime, measures to get away from the US currency are unlikely to spur a surge of interest in doing trade with Iran, particularly after 2014 saw US regulators collect the highest amount of sanctions-related fines in history. “Trading in other currencies outside of the US dollar has been talked about for a while, but I believe there are very few banks internationally that would compromise their ability to clear US dollars. We know the US Treasury has this ability and clearly banks are concerned about that,” says Simon Ring, global head of financial markets at Pole Star, which recently launched the PurpleTRAC tool to screen ships for current and past exposure to risk and automate sanctions compliance in commodity trade. According to him and his colleagues, any bank with a dollar clearing licence would have to be very brave to finance trade with Iran, even if that trade is in local currency. “In my view it will take a very brave organisation to on the one hand trade in euros or roubles with Iran and at the same time operate dollar clearings with other parts of the world. I don’t think the US or any other international regulator would tolerate that,” Pole Star’s chief business development officer Julian Longson tells GTR. But while the largest international banks, many of which have already paid fines related to sanctions, will most likely stay clear of any business with Iran, currency swap agreements could encourage smaller regional players to be more open. Clif Burns, an attorney specialising in exports and economic sanctions at US law firm Bryan Cave, explains to GTR: “Increasingly Iranian customers are repricing their transactions in euros or pounds or Swiss francs as transactions can no longer make it through US banks. Outside of abject fears by the major European banks, you’re finding that smaller regional banks are willing to finance trade with Iran.